Since 2010, there has been a decline of more than 50 per cent in Indian international students coming to the UK. here is a portrait of Sir Thomas Roe hanging in the Palace of Westminster. Just over four centuries ago, Sir Thomas Roe sought Emperor Jahangir’s blessings to bring British trade to India, then the richest empire in the world, and thereby separate Britain’s interests from Europe’s destiny at a time when Britain’s ambitions were too often stifled by those of greater European powers. This might all sound very familiar. Four centuries on, we are celebrating the UK-India Year of Culture and the UK government is tackling the EU exit negotiations with a confidence that betrays none of the growing uneasiness and lack of trade negotiation expertise in the civil service. 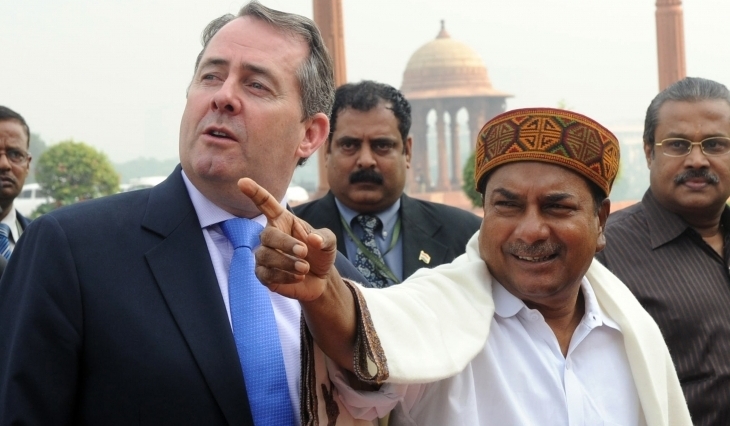 It is clear that the UK government has catastrophically misjudged the difficulty it could face in striking trade deals with large and complex nations such as the US and India once the UK leaves the EU. For example, I will not be eagerly awaiting the results of the Migration Advisory Committee’s study of the economic impact of EU Migration when next September rolls by. At the level of bilateral trade talks, new rules on the movement of people are already a must. A trade deal with India – not necessarily a Free Trade Agreement (FTA), which may even be unachievable – is going to require significant skill and diplomacy, which this government has not shown, particularly on the movement of people. Those responsible for laying the groundwork for the UK’s trading negotiations with bilateral trading partners should look for a new approach. India is rightly one of the UK’s top targets for bilateral trade; it is one of the largest markets in the world with over 1.25 billion citizens. Bilateral trade and investment is strong, and more than 800 Indian companies in the UK add an estimated £26 billion to our economy and support over 110,000 jobs, according to a Grant Thornton report. Deepening this relationship takes dedication, huge investments of time and several factors in common – including defence and security, science and research objectives, digital skills, and other shared endeavours. India and the UK have great scope for much of this. The UK has highly enviable research bases, a shared interest in India’s fast-growth technology centres and a large number of joint defence operations with the Indian Army. The UK’s immigration policies are restrictive enough when it comes to Indians – restrictions on the availability of Tier 2 visas have led to a more than 50 per cent decline in Indian international students studying in the UK since 2010. PM May’s obstinate deafness to this advice means we face a perception problem now too. Not only are Indian students declining in number for practical reasons, many now consider themselves unwelcome in the UK, too. Worse, questions are widely being raised as to how open for business a Brexit-bound UK really is. The government must open up to the voice of the higher education sector, previously dismissed by PM May, during her time as Home Secretary, as “university lobbyists”. The UK needs to be able to attract more foreign researchers and students. That portrait of Sir Thomas Roe hanging in the Palace of Westminster should not fool our politicians into thinking that they are the trade ambassadors that we need today. Our ambassadors need to come from every sector and we need to let every UK community guide the plan for the UK’s future outside of the EU. This includes EU citizens living in the UK – an estimated three million individuals – and also the many diaspora communities – whether they are Spanish, Italian, Polish, Bangladeshi, Ghanaian – and it especially includes our international students. Living and working shoulder-to-shoulder with Nobel laureates, politicians and senior business leaders, international students and graduates of UK universities are the best possible ambassadors for the UK anywhere in the world. And the passage of people from one part of the world to another is what lets ideas take root. For its size, the UK attracts a lot of new ideas – look at the start-up rates of new enterprises and in the rate at which the UK publishes highly-cited scientific papers. In the last two decades, the advances of developing nations such as India and China have seen their share of wealth and technological prowess increase beyond that of the developed world. They still envy the UK’s ability to develop new ideas, and threatening our power to do so will halt negotiations over trade deals for all time.